Webinars, demos, videos, external online trainings, internal trainings posted to an intranet and many other types of inbound, outbound and internal content require voiceovers. But many marketers don’t have time or budget for professional voice-over (VO) artists, or they don’t want someone external representing the brand. So many content marketers, sales directors and marketing managers find themselves doing the voice-over work, even though that isn’t their expertise. A MECLABS Institute Research Partner (MECLABS is the parent organization of MarketingSherpa) recently found himself in this situation while preparing to record audio to go with PowerPoint presentations that would be hosted in an LMS (learning management system) for internal training. The MECLABS team suggested we connect to discuss the presentations (“Dan leads our publishing team and has conducted many interviews, webinars and training — he’d be a great resource to get some tips on how to best prepare and conduct the recordings for the training.”) In this blog post, I’ll provide a few voice-over tips we discussed in that call, along with some other advice if handling a VO isn’t your primary (or secondary or tertiary) skillset but you find yourself doing it as part of your job. I’ll out myself and admit it right up front — this has always been a big challenge for me, but it really came to light when I did some public relations training. The PR consultant recorded us answering questions in an interview, and then we had to painfully watch those recordings back. It really hit home with me how fast I can speak in an audio recording if I’m not careful. Try it yourself. If you’re doing any voice-over work, you need this lesson. They’re nervous — so have someone with you in the room giving you a subtle hands-down-pausing gesture to remind you to calm down and breathe deeply. They think their audience will be impatient listening to them — That’s true. Your audience likely is impatient. But cramming 15 minutes of content into seven minutes won’t help. It will just overwhelm them, and you’ll lose them. They haven’t managed their time well — Some speakers will take way too long on the upfront and speed through the rest. If you’re speaking with slides, have a clock and understand the breakpoints beforehand. Print the slides out nine-up or similar and write different time stamps by certain slides. 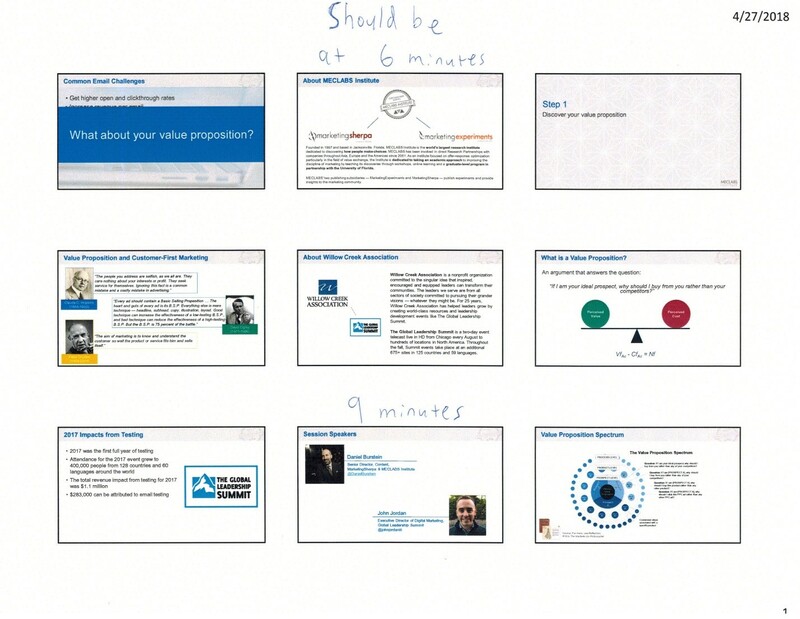 Let’s say, you should be 10 minutes into an hour webinar or recording by slide seven, 20 minutes in by slide 14, etc. If you’re longer or shorter than that, you’ll know if you have to speed up or slow down way ahead of time and not try to cram 15 minutes of content into the last five minutes. “We try to have fun with everything we do, and our audience seems to respond to it pretty well,” Gregg Barclay, Senior Videographer, SparkFun Electronics, told me in an interview at last year’s MarketingSherpa Media Center at IRCE. YouTube, Vimeo and other online video sites have lowered the bar on what it takes to use video to promote your product to consumers. They no longer expect a slick commercial with a massive production staff and budget. The DIY feel can resonate with customers, as well (and for the right product, feel more authentic). But, as with any business initiative, video still requires a resource investment. For a company with relatively limited revenue ($30 million in sales), SparkFun has nonetheless chosen to make a significant investment in video with seven or 130 employees dedicated to this purpose. Only two (including Gregg) are involved in the actual shooting and editing of the video. Additionally, there are three full-time creative technologists building products. The team invests a few days in preproduction while the shooting and editing is complete in just a few hours. This may be a reason SparkFun’s videos have been successful. After all, no matter how slickly a video is produced, it is just a container. You must fill that container with entertaining, helpful content. The electronics retailer introduces 10-15 products per week, and its team is able to produce two to five videos per week that shows customers how they can use them. 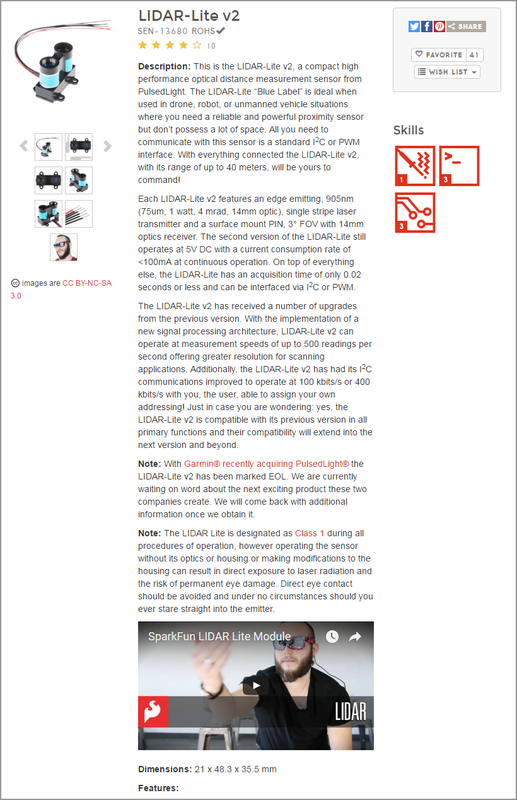 While the site also includes more traditional tutorials, along with informational product and how-to clips, fun is a key component in many of the videos, such as in the LIDAR Lite Module video or SparkFun Claw Machine! video. As a result, 1.75% of people who view a video on SparkFun Electronics buy a product within that session. This doesn’t include people who watch a video and come back later to purchase, or those who watch a video on YouTube, so the real impact might be even higher. We’ll be heading to Chicago in a few weeks to bring you more stories of marketing, ecommerce and fun from the MarketingSherpa Media Center at IRCE 2016.